Do you need a sleeping bag for your budget travel? Do you Need a Sleeping Bag for Budget Travel? It’s always been an interesting and well-debated question among budget travellers and everyone has their own opinion: “Do I need a sleeping bag for my trip?” To answer this, we probably need to look at the most important word in the question: “need.” In other words, is it an essential part of your travel kit? It may be that you would be either foolish to leave home with one or equally foolish to be without one. An obvious consideration in this debate is where you are going and what you will be doing on your trip. Travelling around the beaches of Thailand probably won’t require one, but if you will be travelling to places with a cold climate, a sleeping bag would be strongly recommended. 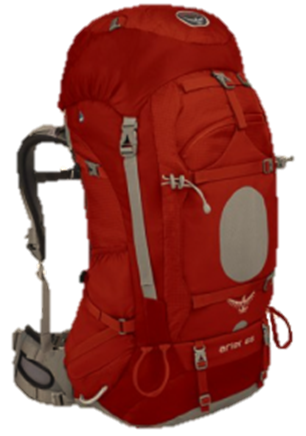 If you’re hiking and camping then it should be one of the first things you will pack. Depending on the season, some countries such as Nepal can be very warm in the lowlands but cold at night in the high altitude regions. Think about your itinerary and whether you are travelling along well established routes with a good range of accommodation. A sleeping bag may be a needless luxury but if you are staying in hotels with good bedding. Some places even ban their use to prevent the spread of bedbugs. However, if you are staying in hostels or cheap guesthouses then a sleeping bag becomes much closer to a necessity. If venturing off the beaten track consider whether you can make any alternative arrangements such as renting a sleeping bag for that period. An important aspect of the sleeping bag debate is that it’s not only used for sleeping. In the same way that a sarong is multi-purpose, it can be used for a number of things. They can provide a little extra comfort on a hard mattress, a pillow or a cushion on the hard seats. It’s also been useful on overnight bus journeys when the air-conditioning is too generous. It’s also a safety net that enables you to sleep in some unusual places if the situation arises. While these thoughts are true, there is the argument that it serves as a cushion little more than a fleece or sweater which you should always have in your pack anyway. The cost of a sleeping bag and the inconvenience of carrying it can be balanced by paying a little extra for accommodation with a good mattress and bedding. Wearing more clothing on the air-conditioned bus will usually keep you warm and comfortable. The pros and cons often relate to your desire for a little extra comfort. Ultimately it’s a personal decision and when making your choice remember the importance of travelling light. The unnecessary inclusion of a sleeping bag isn’t compatible with this golden rule. When added to all the other things you really need, it could take up too much weight and space. A great solution is to carry a light single sheet or a silk bag liner. In warm climates especially this is the ideal compromise and something I would definitely recommend. I always carry a bag liner and pillow case on my travels. As you can see, carrying a sleeping bag is a debatable issue and there are valid points for and against the idea. As mentioned, your decision should be based mainly on your travel destination, the season and planned activities. If you sense there is a requirement and don’t mind carrying it, you will appreciate the warmth and comfort of a sleeping bag. 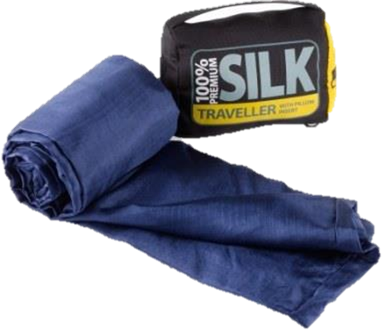 On the other hand, if your trip will be in a tropical or at least moderate climate and doesn’t include any camping then a silk bag liner should be all you need.